Country Inn Our records show that this inn is closed. The Old Post House Inn Our records show that this inn is closed. Ivy Our records show that this inn is closed. 1 Evergreen On Pine Our records show that this inn is closed. Box Farm Our records show that this inn is closed. Southampton bed and breakfast travel guide for romantic, historic and adventure b&b's. 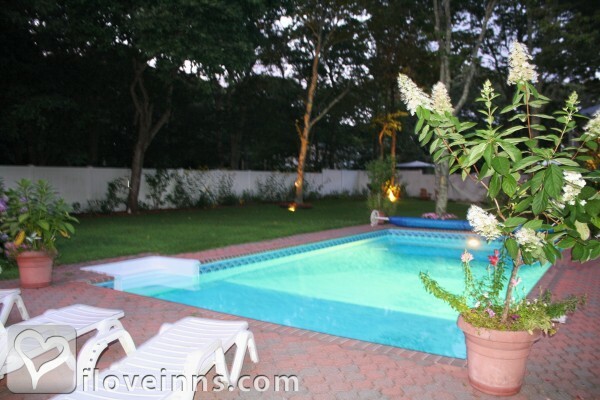 Browse through the iLoveInns.com database of Southampton, New York bed and breakfasts and country inns to find detailed listings that include room rates, special deals and area activities. You can click on the 'check rates and availability' button to contact the innkeeper. Out in Suffolk County is a quaint little village called Southampton. The Village of Southampton was named after the Earl of Southampton. For the most part, Southampton is considered to be one of the area's two prestigious communities where influential and wealthy people have built homes in the estate section, the area immediately north of the Atlantic. Because of this wealthy crowd, Southampton has built a reputation of affluence and exclusivity. Affluent or not, Southampton is a great places to spend you vacation, with its old Victorian houses and its very inviting atmosphere. If history is what you are after, Southampton is rich with stories and artifacts of the Shinnecock tribe who lived in this area long ago. Outdoorsy you may be and the activities for you are aplenty in Southampton which includes fishing, boating, kayaking, water skiing, and a lot more. To get a whiff of what Southampton is really all about, try a Southampton bed and breakfast. By Mainstay.